for gallbladder, GERD, hernia, melanoma and more. Operators standing by! 24-hour scheduling. Appointments often available next day. The pain. The discomfort. The annoyance. You have bothersome symptoms—from hernia, GERD, gallbladder, melanoma, or pilonidal cysts—and you need a solution. Enter Cascade Hernia & Surgical Solutions at Meridian Surgery Center. We listen to you to understand your concerns—and we solve your nagging health problem—when it’s convenient for you. 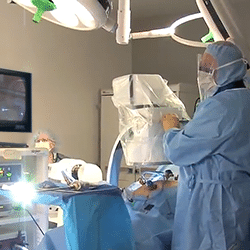 We offer minimally invasive surgical solutions at a lower overall cost in a private setting. 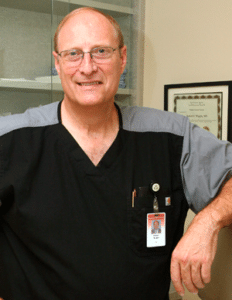 Under the leadership of Dr. Robert Wright, our surgical team has a proven reputation for high-quality, compassionate care. With nearly 25,000 patients served, your satisfaction, health and safety come first here. You’ll learn this when you become our patient. But in the meantime, our consistently high patient satisfaction scores and the lowest infection rates in our area show how much we care for your health and safety. When you’re here, you won’t wait anxiously in a huge lobby. Our space is private and personal. We have no overhead speakers, no pagers and buzzers. Real people pick up the phone and listen to you. When you leave a message, we call you back. And, we understand your discomfort. We make every effort to schedule surgeries often in the same week—or even the next day. So you can get back to living your life—as soon as possible. We accept most major insurance. Please check your plan’s website to verify if Dr. Wright is a provider. When you call to schedule your appointment, if you have a concern about your plan’s coverage, simply request a plan review prior to your appointment. Our billing consultants can review your plan prior to your visit upon special request. But if you are self pay, most surgeries cost $10,000 or less—ALL IN, NO SURPRISES. That includes anesthesiologist, surgeon, assistant, supplies, implants, pharmacy, and any durable medical equipment prescribed for post-surgical home use. The initial consultation fee for self-paying patients is a separate fee. Cascade Hernia & Surgical Solutions at Meridian Surgery Center in Puyallup, WA and Tacoma, WA. When you need us, we’ll be here for you. and we put your comfort first. Surgical solutions for Hernia, GERD, Gallbladder, Melanoma, Pilonidal, Thyroid, and more. We accept most major insurance and are in network with most area Accountable Care Organizations. How can we help? Call us 24/7 at 253-840-1999. We often have appointments available on the next business day.